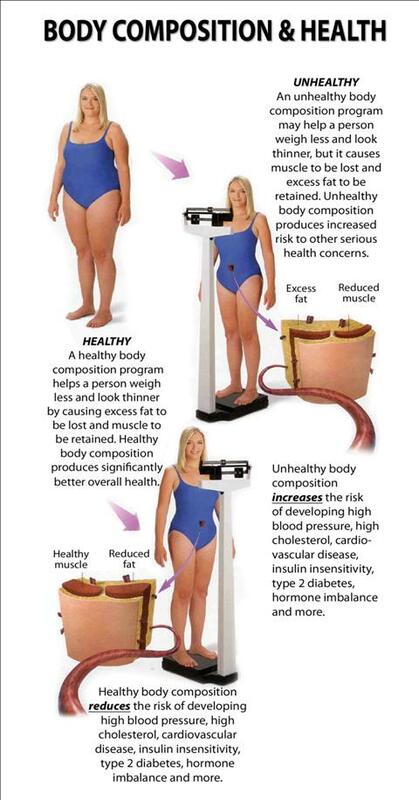 Have you ever been told that you need to lose weight or improve your health? Is the scale something that you can trust, and what does it mean if your weight goes up or down? How do you know if you are gaining muscle or loosing fat depending on what the scale says? What if you get on the scale and the weight goes up because you are gaining muscle but you are frustrated because the scale indicates that you have gained weight. These are the frustrations and issues that many people have when they are trying to improve their health by losing weight, but are using the scale as their measuring tool. There are many circumstances where a person can change their composition and loose fat ponds and gain lean tissue on the inside, yet don't know this is happening because they only are using the scale or a cheap hand held device that claims to analyze body composition. We at Great River Spine & Sport have a devise which is called the impedimed DF50 that is one of the most accurate machines made to assess what a person is made of on the inside and evaluate fluid levels and what is going on inside of your body. This is a painless test that only takes minutes to perform. The test involves lying on your back with your right sock and shoe off and two sticky pads on your feet and your hand. There is also literature in our library for you to read about the device and what it can evaluate. Why is this important? Way too often, people are attempting to do the right things to improve their health, but do not have an accurate way to know if what they are doing or if the supplements they are taking are really helping them. This particular machine has allowed us to help people make changes to their body composition and improve their health in ways they never thought were possible. Too often our patients are told by medical providers before they get to our office that they need to lose weight, exercise, improve their lifestyle, but are not given the guidance to accomplish these things. Again, for these reason is why we use the impedimed to evaluate a person's body composition and assist them in making changes that we can measure and allow for success. Below is a wonderful picture of a person that is going through different processes on the inside of her body, but when you look at the picture and just her weight, you wouldn't know truly what was going on. We encourage you to call or email with any questions to see if this is a test that would help you.